e5 optional elements are available to personalize your workstation. From fabric cushions and tackboards to support modules, LED task and desk lighting and monitor arms, there is a variety of options for meeting most needs. 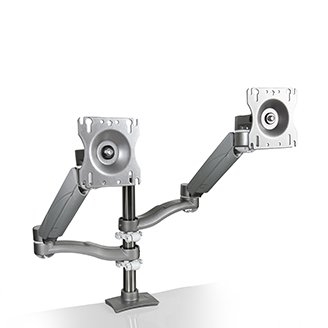 Pole Mount, Single Arm Monitor Mount. 24" of reach and 18" of usable height adjustment (including pole).